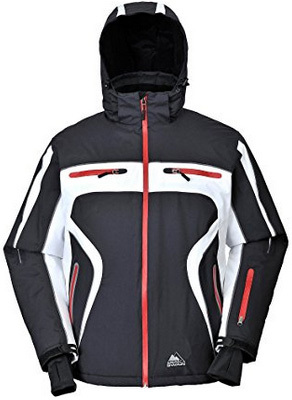 With the cold season upon us and the snowing and raining everywhere, it’s time for some waterproof winter sports jackets. 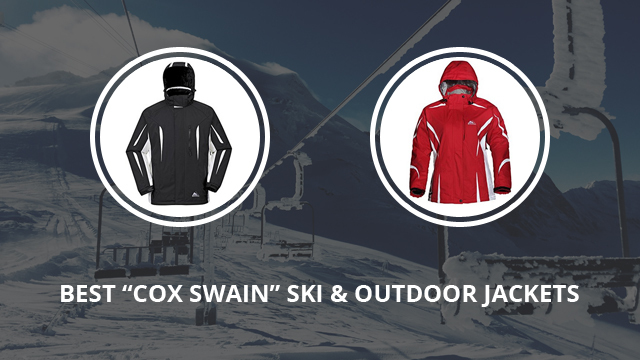 The brand we are reviewing today is called Cox Swain and we will be featuring eight of their best jackets for outdoors, skiing and snowboarding. The designs selected are not just functional and good quality, but they are also stylish and can be worn as the to-go jacket during the winter season. As for the prices, they are quite affordable as you will see. In the collection there will be options for both men and women, so let’s get started right away. We are starting with the Cox Swain men’s jackets and first up, it’s Colorado, from the Titanium collection for men. 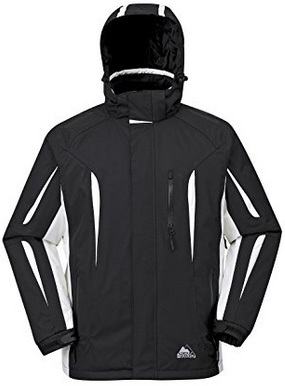 This jacket comes in two layers, with the outer one made of 100% Nylon and the inner layer made of 100% Polyester (fleece). It is part of the 3in1 design, in which the jacket can be zipped with softshell jackets from the brand’s collection, in order to create a heavy winter jacket, for those living in more challenging conditions. The Cox-Tex membrane has a water column of 15.000mm and 10.000mm breathability, thus avoiding overheating as well as repelling water. The hood is removable and attaches around the long, stand-up collar. It has a two-way zipper, fully waterproof and with a placket over it. There are outer pockets, with the one on the left sleeve lined and watertight. It comes in four different colors: Black, Blue, Brown and Red. Alto is a softshell jacket, part of the Titanium collection and it is made of Cox-Tex functional shell. It is made of 100% Polyester and has a water column of 8.000mm and breathability of 2.000mm. There are two side pockets and one chest pocket, all zippered. The main zipper is uncovered and goes all the way up the collar, where it has a chin guard cover, to prevent chaffing on the chin and neck. The sleeves have Velcro fasteners, for proper adjustment. 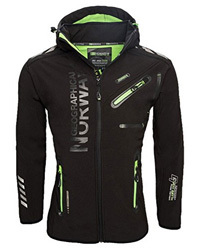 This is an Outdoor jacket, designed to be worn as both a daily jacket and also for sports. There are four color options: Black, which has three versions, and Blue. This hardshell jacket, part of the Titanium collection, also, is called Xtrem and comes with Cox-Tex membrane, with a water column of 15.000mm and breathability of 10.000mm. It has welded zippers and glued seams, to fully insulate the jacket and make it completely waterproof. There are two side pockets, two chest pockets and one sleeve pocket on the left one. The hood is attached to collar, with drawstrings for adjustment and is triple layered. There are drawstrings around the waist and Velcro on the cuffs. On the underarms there are zippered ventilation openings, making this jacket ideal for those who are quite active in their daily lives. It comes in the color Black. Another jacket from the Titanium collection, it’s the Finley jacket, made of 100% Polyester. 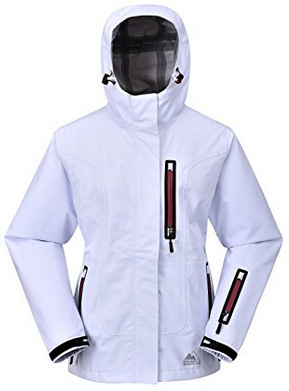 This is a ski and snowboarding jacket, which comes with RECCO avalanche reflectors, in case of any avalanche accidents. It has a water column of 15.000mm and 10.000mm breathing activity. On the outside, there are two side pockets, two chest pockets and one inner pocket. 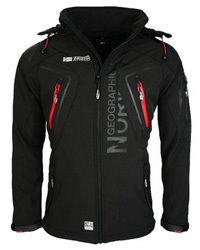 This jacket comes with underarm ventilation and fully waterproof zippers, including the ones on the pockets. It has Velcro on the outer cuffs, while the inner cuffs have thumbholes in them. The hood is detachable and there is also chin guard on the collar. There are two color combinations: Black / White with black zippers and Black / White with red zippers. Ending the men’s selection, is Elevation, a 2-layer ski jacket, made with Cox-Tex diaphragm, with a water column of 15.000mm and 10.000mm breathability. 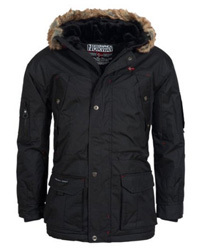 The layers are detachable and this jacket is part of the 3in1 design. It is highly durable and comes with waterproof main zipper, as well as the zippers on the pockets. It has a detachable hood and Velcro fasteners on the cuffs. The main zipper is covered by a Velcro-fastened placket. 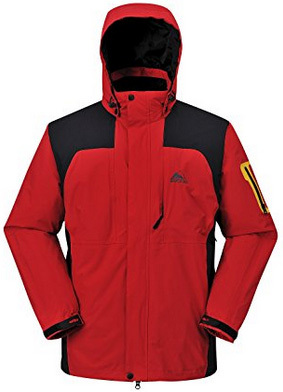 Like the previous ski jacket, this one also comes with RECCO avalanche reflectors. The color available is Black, with white details. Ladies’ turn and we are starting with Aspen, a 2-layer ski jacket, highly breathable (15.000mm) and with a water column of 15.000mm. It comes with snow guard, RECCO reflectors and Cox-Tex membrane. The outer layer is 100% Nylon, while the inner layer is 100% Polyester. The seams are taped and the hood is removable. The main zipper comes with chin guard and is covered with a snap button placket. There is Velcro on the cuffs and there are also several pockets on the outside. It has four different color options: Brown, Black, Red and White, which has three different combinations. 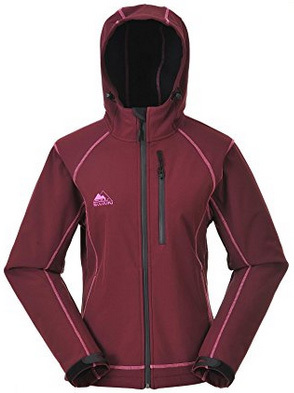 Following up with a hardshell outdoor jacket, it’s Lisa, made of 100% Polyester. It is part of the Titanium collection for women and comes with Cox-Tex membrane, which is waterproof (15.000mm) and highly breathable (10.000mm). There is underarm ventilation and adjustable drawstring around the waist. 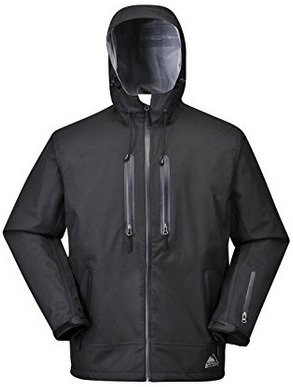 The hood is not removable, while the main zipper is fully covered and waterproof. There are four outer pockets, two on the sides, one on the chest and one on the left sleeve. 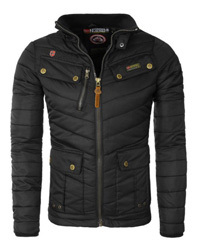 This is a great daily jacket, especially for those who prefer a lightweight but warm jacket, and live in rainy areas. It comes in White and Grey / Black versions. Luyu brings us to the end of this selection. This is a softshell jacket, also part of the women’s Titanium collection. 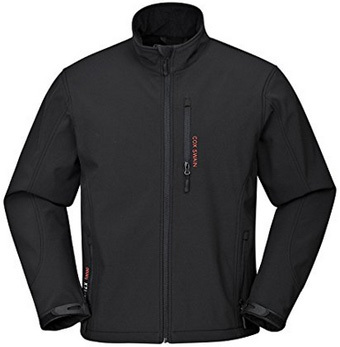 It is made of 100% Polyester and Cox-Tex softshell, making the jacket warm and lightweight. This is part of the “3 in 1” design and can be worn on its own, or as part of layering underneath heavier winter jackets. There are three outer pockets, all with waterproof zippers and inner pockets as well. The main zipper is uncovered, but waterproof, and there is also chin guard on the collar. 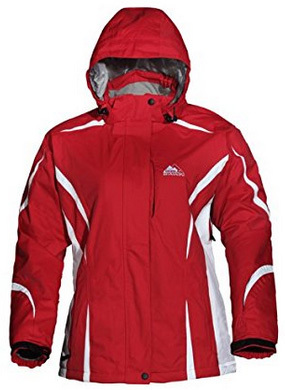 It is a 3-ply jacket, with 10.000mm water resistance and 2.000mm breathing activity. To fully prevent overheating, there are underarm zippers for added ventilation. It has seven colors available: Black / Pink, White / Blue, White / Dark grey, Blue / White, White / Green, Wine / Pink and Black / Silver.